THE DISAPPEARANCE OF EMILY H.
One girl can get to the truth. 8th grader Raine Watson is able to pull other people's memories off objets. Will she be able to use her talent to find Emily H? Or is it already too late? in stores and now in paperback, too! Sherry goes undercover in Hollywood to bust up a burglary ring! in stores in hardback and paperback! Yes, yes, Sherry's sleuthing again! This time, she solves a mystery at her local mall, where even the lip gloss isn't safe! In stores now! In hardback and paperback! Sherry's baaack!! Sherry and her ghost mother team up in a new mystery. Can they keep The Ruler (Sherry's stepmother) safe? There's robotics, ghost hunting and some serious toilet papering. It's scary. It's spooky. It's fun. Oooooo. (p.s. Of course, Josh is back too! A girl. A guy. A ghost. A heist. Yikes! 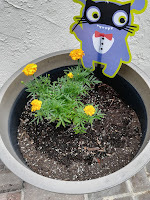 Meet reluctant sleuth Sherry Holmes Baldwin! Sherry (short for Sherlock) wants more mall time, less homework and a certain cute boy. Instead, she's recruited by her mother's ghost to prevent a rhino heist at San Diego's Wild Animal Park. Manila is the capital of the Philippines and is bursting at the seams with a population of about 10 million. The North Manila Cemetery is very busy and overcrowded and hosts 70 to 80 funerals daily. Around 10,000 poor live in shanties on tombstones and in mausoleums in the cemetery. 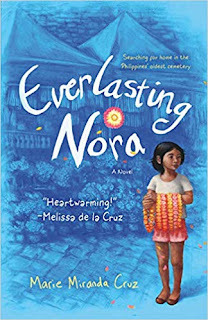 In EVERLASTING NORA, Nora and her mom take up residence in the North Cemetery following a fire that took Nora's dad's life and burned down the family house. Nora is forced to quit school (she would've been in sixth grade) and help earn money by selling flowers to mourners and washing laundry with her mom. And then one night, Nora's mom doesn't come home. Imagine that for a moment. A twelve-year-old girl is alone in her father's mausoleum. In the middle of a large cemetery. At night. And she doesn't know where her mother is. Tagalog words are sprinkled throughout the book. (There's a glossary in the back if you get lost. I didn't.) There are many references to local dishes. Sensory and plot details highlight the Filipino setting. 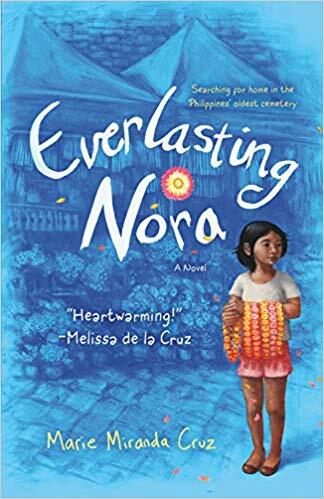 EVERLASTING NORA is a story about extreme poverty and gambling and a child who must deal with her world that has completely fallen apart. This is also an uplifting story where friends become family, and people change for the better. Well done, Marie Miranda Cruz! And now....onto the rest of our reviews. Please click through. You won't want to miss a single one! Note to Reviewers: Any errors (broken link, missed review, etc), just shoot me an email or leave a comment. Thank you so much for your reviews! I also reviewed Jodi Picoult's novel! Check out these special people! I So Don't Do Mysteries BOOK TRAILER! Look! Look! I'm a Random House Author Spotlight!! Disclaimer: I only review books that I want to recommend.